Embrace digital technologies and leverage the Bonita digital transformation platform to improve customer experience, operational efficiency & agility, and drive more innovation with your products and services. Digital transformation is about changing current means of doing business through digitalized, electronic, on-line tools. Using digital, process-based applications to do things better leads to operational excellence. And using digital tools and applications across the enterprise to do business differently - to enable innovation and creativity - leads to strategic advantage. When digital transformation tools are applied to the long-term vision and creativity of the enterprise, digital transformation becomes strategic. 2. Strategic focus: develop applications to take your strategic vision and make it operational. 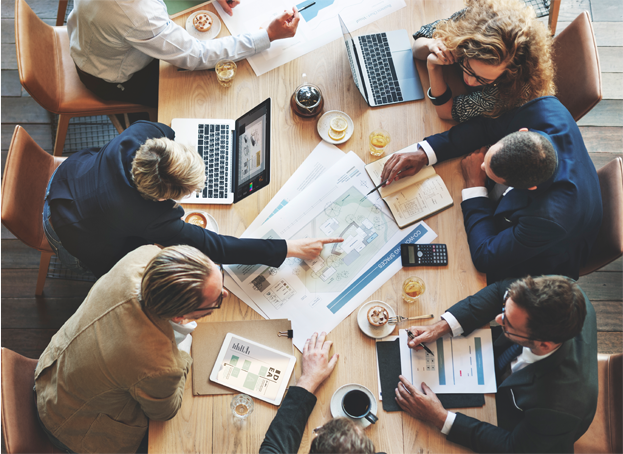 Both approaches can help you to build sales, strengthen customer connections, cut costs, and outpace the competition. This e-book explains how. 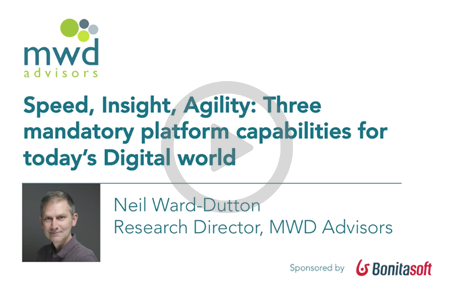 Neil Ward-Dutton of MWD Advisors outlines some of the key issues executives face in their digital transformation responsibilities across the enterprise. 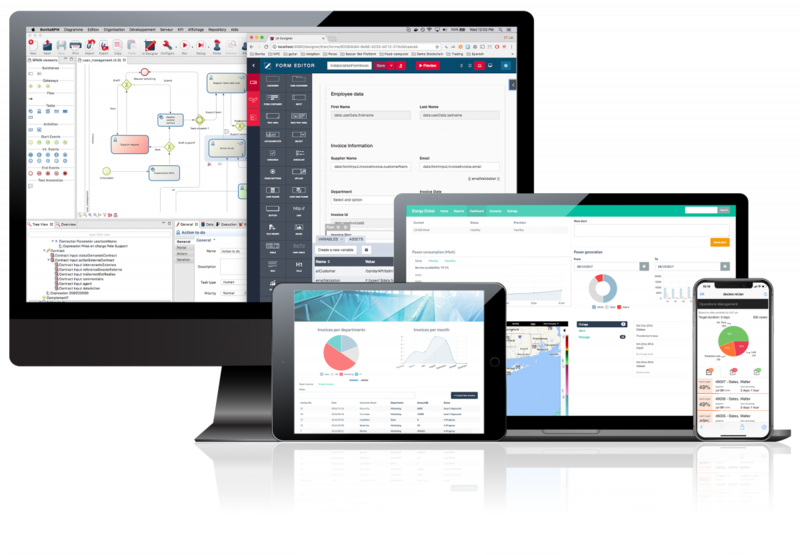 The Bonita digital transformation platform offers a natural extension of BPM capabilities. It delivers a unique advantage to create better user experiences for customers and employees: state-of-the-art user interfaces are seamlessly integrated with streamlined backend information systems and operational processes. "Bonitasoft's Bonita digital business platform (DBP), brings capabilities that allow for experimentation and incremental development of digital capabilities quickly while leveraging instant feedback on the resulting living digital system". Your digital transformation is unique. Integrate your unique combination of customer and employee user experience needs, information systems, and business operations. 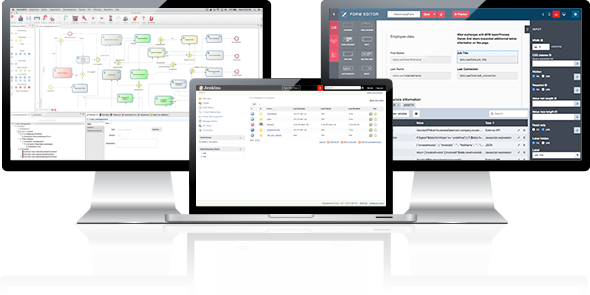 Customize without full-on custom application development. Modify, personalize, and customize applications with low code, out-of-the-box features and open extension points. A great user experience starts with responsive user interfaces that work on any device. 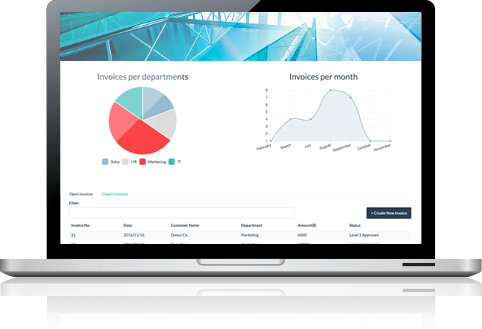 It continues with smooth interactions with employees and business information systems, fully integrated through the backend workflow. Provide a satisfying user experience for both customers and employees. Leverage diverse skills, approaches, and experience. Keep the way you already develop, test and deploy. Plug into the tools that you are using now on a day-to-day basis. Give technical teams choices with graphical tooling, multiple extension points, low code and out-of-the-box frameworks. "In our experience, successful large organizations think more and more about end-to-end transformations that focus on internal customers--their employees--as well as external ones, to gain a durable competitive edge." Executive management at this pharmaceutical research company set a strategic objective to emphasize research in some specific areas with international partner. One objective consistent with the overall strategic vision was to first optimize processes, then leverage the results across the organization. Read more about this strategic digital transformation project. We're ready to help you transform your business.